Flower came from inside Immaculata's body; Michelle had taken Terry's shivering little body into her arms and never let him go. That happened in the backseat of my car, as I was driving away from what I'd left of the pus–sack who'd been renting the kid out. Come from, come to—no difference. They're both ours. Our blood. How you look at it doesn't matter to us. Citizens think a trial verdict depends on the evidence; we know all that counts is who's on the jury. Some of you get to visit our world, but none of you really see it. Some of you try too hard, stick your nose in too deep. Then you don't get to leave. "Only thing that's true is what you do." I live that. That's how I found the one place I rightfully belong. My heart and my life. Your life doesn't mean any more to me than I ever meant to any of you. Trespassers should bring their own body bags. I don't walk the mean streets, I live below them. I'm not an ex–cop with friends on the force; I'm an ex–con who knows the cops for what they are. I'm not a war hero; I'm a man for hire. Humans who could flat–line a polygraph wouldn't get past the first round with me. All it takes is a few minutes of conversation, and I know you. Not because I have X–ray eyes. Not because I have powers. Because, whoever you are, I've met you before. Revenge is like any other religion: There's always a lot more preaching than there is practicing. And most of that preaching is about what not to practice. "Vengeance is mine" translates to: "It's not yours." The karma–peddlers will tell you how doing nothing is doing the right thing, reciting, "What goes around comes around," in that heavy–gravity tone reserved for the kind of ancient wisdom you find in comic books. Every TV "counselor," every self–help expert, every latté–slurping guru ... they all chant some version of the same mantra: "Revenge never solves anything." Their favorite psalm is Forgiveness. And their hymn books are always open to the same page. Get it? When you crawl away, you're not being a punk; you're just letting the cosmos handle your business. Whoever hurt you, they'll get theirs, don't worry. Just have a little faith. Down here, we see it different. We don't count on karma. And you can count on this: hurt one of us, we're all coming for you. 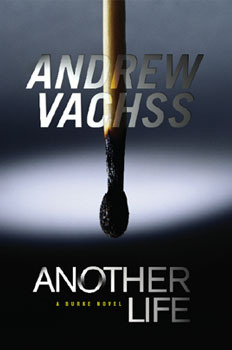 © 2008 Andrew Vachss. All rights reserved.